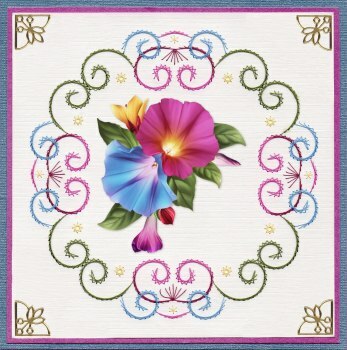 A beautiful new pattern that could be used for many occasions. 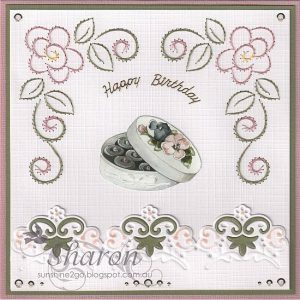 Mother’s Day is just around the corner although I have created it for a birthday. 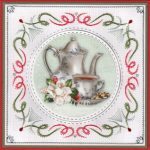 The pattern is a600 and is now available from Ann’s Paper Art webshop. Threads are Mettler 0453,0630,2051. Decoupage by Marieke Design 2581. The boarder die is Marianne Design LR0387. 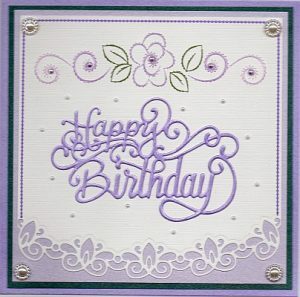 Tim Holtz Distress ink and hobbydots have also been added. 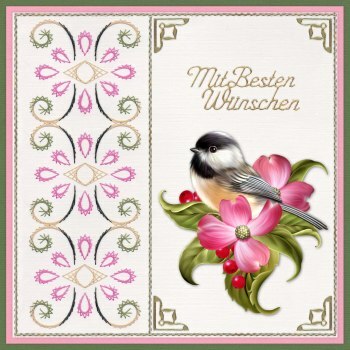 At the moment you can buy the pattern, decoupage and die from the webshop for a special price till sold out. 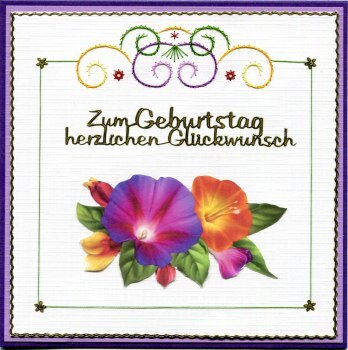 I think that this card would be fabulous for a male. 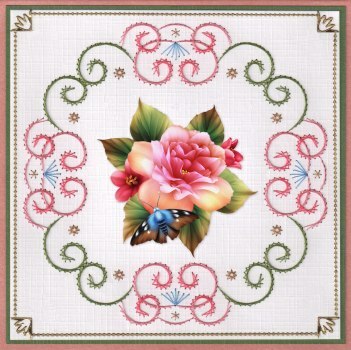 The pattern is a740 and is available from Ann’s Paper Art webshop. Threads are Mettler Polysheen 0020, 0150, 1902. 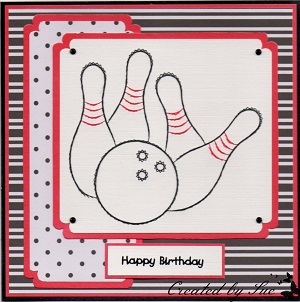 The boarder die is Marianne Design LR0395. Red pattern paper is by Doodey. Hobbydots and peeloffs have also been added. 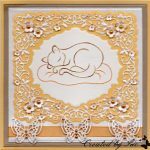 At the moment you can buy the pattern and die from the webshop for a special price till sold out. Sue from Stitch-a- Greeting has also created a gorgeous card with the new Bowling pattern, go and have a look it’s fabulous. I had loads of fun creating both of the cards. 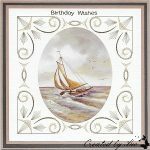 If you have a moment come by and have a look at Ann’s Paper Art webshop. I am sure that you will find things to help with your creativity. 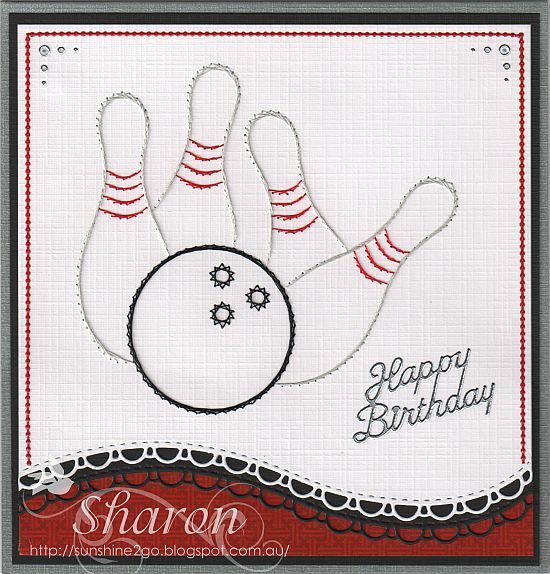 I had a lot of fun creating this card, it’s different to what I would normally do, the pattern is new from Ann’s paper Art Webshop Pattern No a740, I have stitched with Gutermann Thread No’s 1234 black and 1039 red, I used papers from Dovecraft and matted onto red cardstock and then onto black card.. 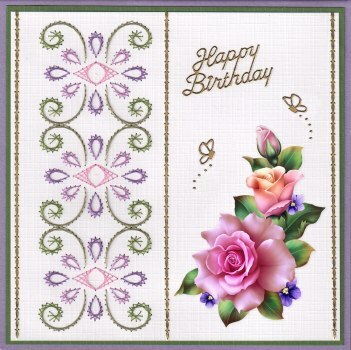 This is a birthday card that I made last month, the pattern is from Ann’s paper Art pattern No a084. 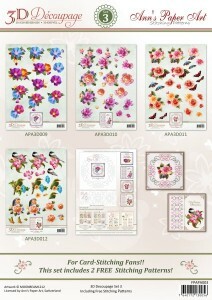 The new 3D Decoupage Sheets, with Moonbeam1212’s bright and beautiful artwork, are available soon in a store near you! 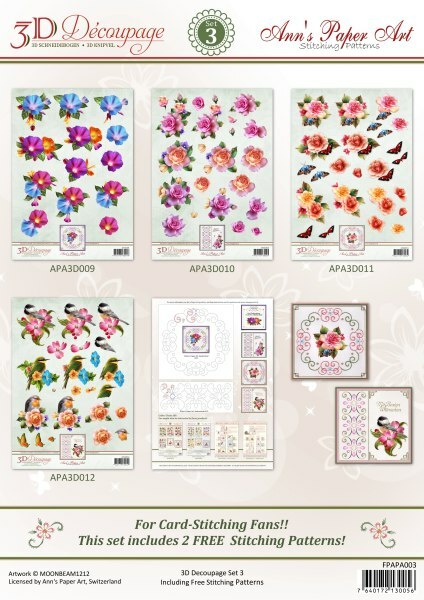 For stitching fans this series comes with a Free Stitching Pattern Sheet, which includes 2 new stitching patterns by Ann’s Paper Art. Trade enquires are welcome.